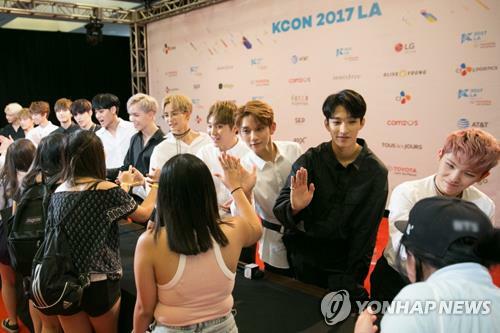 LOS ANGELES, Aug. 20 (Yonhap) — KCON, a global Korean pop music and culture convention, wrapped up its Los Angeles event Sunday, bringing together tens of thousands of fans of cutting-edge South Korean musicians, fashion and other Korean-related cultural content. The lineup artists are more than this! Why Super Junior D&E, the biggest sunbaenim are not mentioned? “other leading K-pop artists’? ShowBox app is truly amazing. It allows users to keep track of the latest news in Hollywood as well as new releases. In fact, new releases, both in Television and in movies, are added every single day. The only thing that can be said is that the download speeds can be improved. But it still is the best app to use for streaming videos and downloading them. The choices are exhaustive. The information you convey is very good in accordance with the theme, thanks for that very helpful especially for me personally.